Global equities trade better bid while the ‘mighty’ U.S dollar finds much needed support ahead of the U.S open after North Korea’s Kim Jong Un signalled that he would delay plans to fire a missile near Guam, easing tensions and prompting investors to move back into beaten-down riskier assets. Aiding higher rates stateside, and the dollar, was New York Fed President Dudley comments Monday indicating that it was ‘not unreasonable’ to think the Fed would begin trimming its +$4.2T balance sheet next month and raise rates again this year. This gave investors the green light to begin unwinding a portion of their ‘bearish’ bets made last week after Friday’s disappointing U.S inflation data dampened market expectations that the Fed would raise interest rates again in 2017. U.S data this morning will give some indication on how the U.S economy is doing in H2. July retail sales are expected to rise month-over-month (08:30 am EDT), while housing starts and industrial production (10:00 am EDT) is expected to be subdued. Note: North Korea is celebrating its Liberation Day today to mark the end of Japanese rule. Global equity markets have happily retraced most of last Friday’s pullback, as robust Asian corporate earnings and reduced fears of imminent military conflict between the U.S and North Korea supports buying interest. In Japan, stocks have rebounded overnight, snapping a four-day losing streak and have moved away from their three-month low print hit on Monday. The Nikkei share average rallied +1.1%, after falling -1.0% in the previous session. The broader Topix index finished the day +1.1% higher. Down-under, Australia’s S&P/ASX 200 Index gained +0.5% at the close, while Hong Kong’s Hang Seng index added +0.3% as the Shanghai Composite Index rose +0.4%. Note: Markets in South Korea and India are closed Tuesday for holidays. In China, stocks ended the day higher, but weak sentiment limited those gains. The blue-chip CSI300 index rose +0.3%, while the Shanghai Composite Index gained +0.4%. In Europe, stocks opened higher and maintain a positive position on easing of geopolitical tensions around Korea. Macro data out of Germany (see below) is also helping support equities. Crude oil prices have stabilized ahead of the U.S open after yesterday’s heavy sell-off following a rally in the dollar. Signs of weaker demand in in China have also been pressuring the black stuff this week. Benchmark Brent crude is little changed at +$50.73 a barrel, while U.S light crude (WTI) is -5c lower at +$47.54. Data this week showed that Chinese oil refineries operated in July at their slowest daily rates since September. The drop was steeper than expected, raising concerns over the state of Chinese demand (the worlds second largest consumer) and level of domestic stocks. Note: Brent and U.S crude both reached two-month highs in last week, but have fallen gradually in the last few days, as investors have been happy to book some well-deserved profits. Investor focus remains on OPEC, U.S inventories (today’s API and Wednesday’s EIA report) and disappointing China demand, to shape the futures oil curve. Gold prices are under pressure (down -0.6% at +$1,274.31 per ounce) on rising risk appetite as North Korea tensions eases. The ‘yellow’ metal continues to trade atop of its two-month highs touched last week as the market keeps an eye on developments in the peninsula. U.S Treasury prices have started this week’s second session on the back foot as investors feel a tad better about the geopolitical situation and are willing to put their money to work in riskier assets. U.S 10-year yields have backed up +2 bps to +2.24%. The move remains modest as global yields are expected to face strong headwinds if they’re going to climb much higher. Note: After another soft U.S inflation report last Friday, the market continues to remain highly skeptical that the Fed will raise rates again this year, and this despite NY Fed Dudley’s ‘hawkish’ comments yesterday. Fed funds odds see a +42% chance of a rate hike at the Fed’s December meeting, up from +36% late Friday. In Europe, the eurozone’s benchmark German 10-year bond yield is trading up +2 bps to +0.42%, adding to Monday’s +3 bps rise and moving further off Friday’s six-week low of +0.38%. U.K Gilts have backed up +3 bps to +1.101%. The U.S dollar is better bid ahead of this morning’s July retail sales data release (08:30 am EDT). The EUR/USD is down -0.2% at €1.1757. 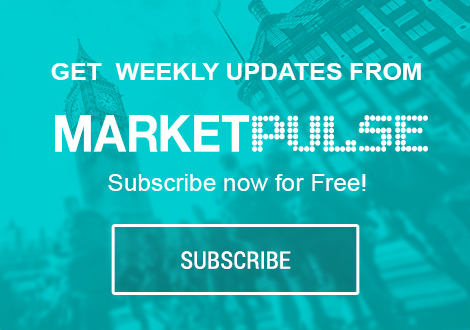 The market consensus is for a rise of +0.4% compared with a fall in June, but with last weeks softer inflation numbers it would not be too much of a surprise to see the headline print come in below expectation. If it does, it could send USD/JPY to fresh intraday lows. USD/JPY is up +0.7% at ¥110.39. In the U.K, July CPI missed expectations (see below), a second consecutive month, and has dented any ‘hawks’ bid for potential near-term hike by the Bank of England (BoE). Sterling is down -0.6% at £1.2890. Elsewhere, the SEK has strengthened significantly outright (-0.46% to $8.0690) this morning after Sweden’s higher-than-expected inflation figures. July CPI inflation rose +2.2% on the year compared to the Riksbank’s +1.6% forecast, while CPIF inflation (calculated with a fixed interest rate) rose by +2.4%, against the Riksbank forecast of +1.8%. EUR/SEK has fallen -0.7% to €9.4874. Down-under, there were brief gains for the AUD (A$0.7842) overnight following the release of this month’s RBA minutes. The minutes judged ‘steady’ policy consistent with growth and inflation targets. The RBA expects growth is likely to pick up pace in Q2 and sees GDP around +3% for both 2018 and 2019. Policy makers are also confident in a pick-up in inflation and jobs. Data this morning showed that the German economy continues its strong performance with another “above-trend growth rate” in Q2. Germany’s statistics body revealed that the German economy grew at a quarterly clip of +0.6% in Q2 and also lifted its Q1 growth estimate to +0.7% from a previous estimate of +0.6%. In the U.K, annual inflation held steady in July as falling oil prices offset higher prices for clothing and food. Consumer prices rose +2.6% on the year, a smaller rise than the +2.7% increase the market had expected. Separately, the annual increase in companies’ raw material costs slowed in July to +6.5% from +10% in June, the biggest month-to-month slowdown in five years, as the effect of last summer’s depreciation of the pound continues to fade.